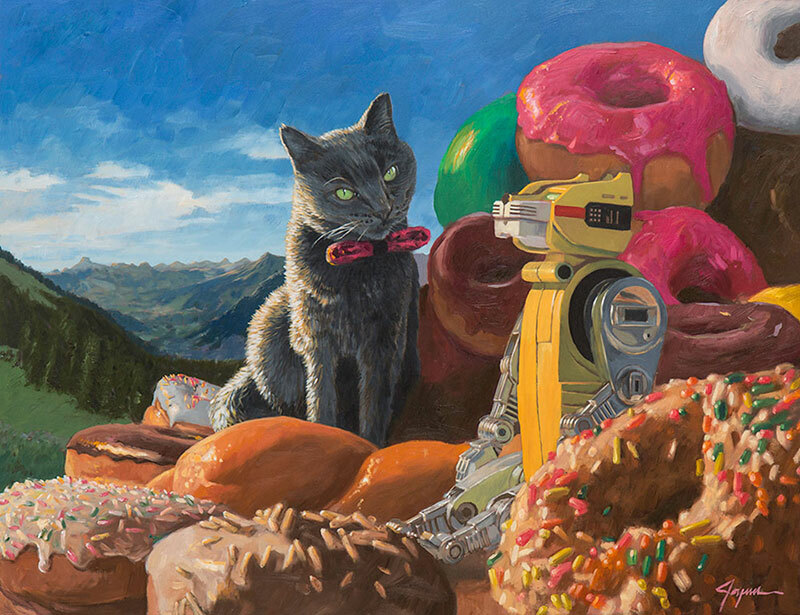 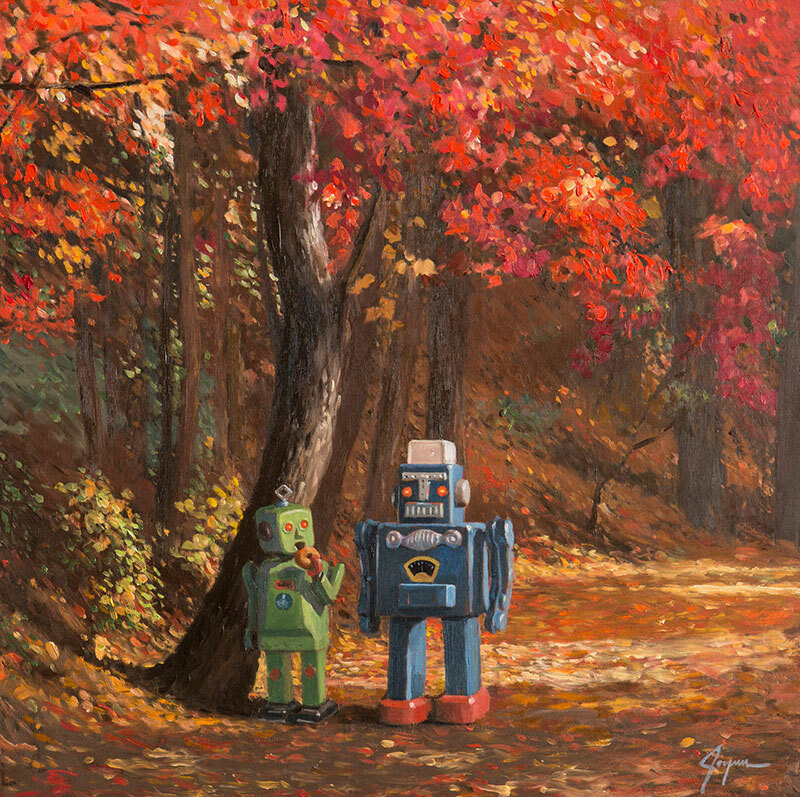 New paintings by San Francisco-based artist Eric Joyner, the undisputed master of vintage robots and the classic American donut. 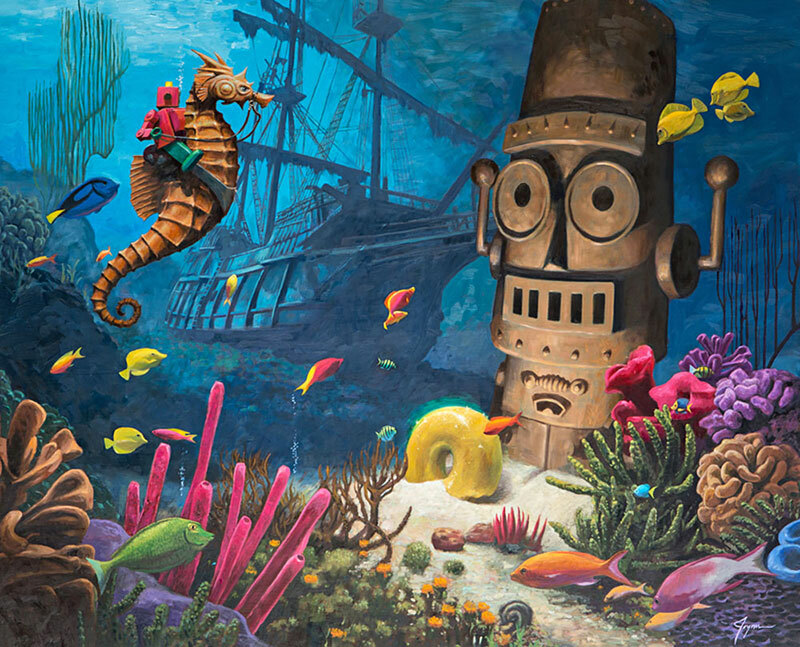 Capturing the various fantasy worlds of his robot universe, Joyner introduces some new subjects into his paintings which include rain, transformers, cakes, anti-gravity, tiki, sea life, human behavior, cats and migration while also revisiting themes he had touched on before. 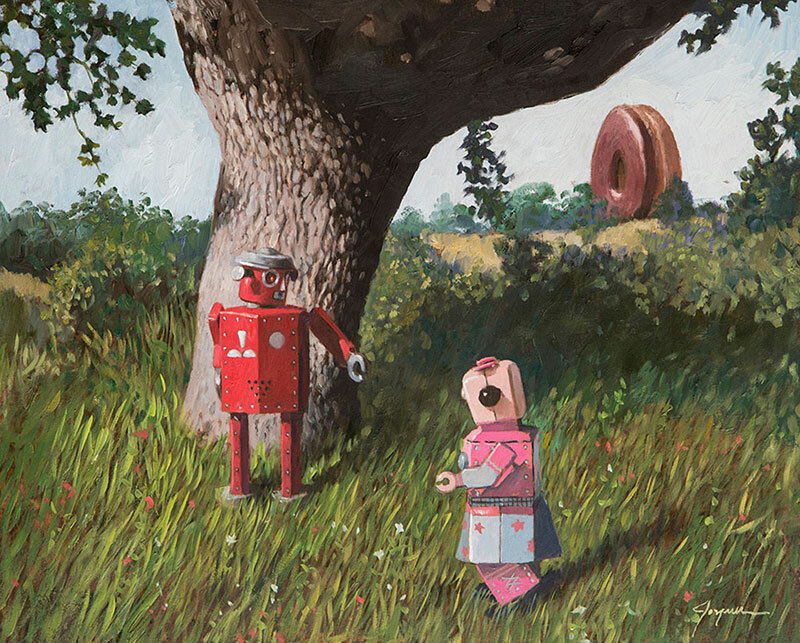 The common thread continues to be robots and donuts. 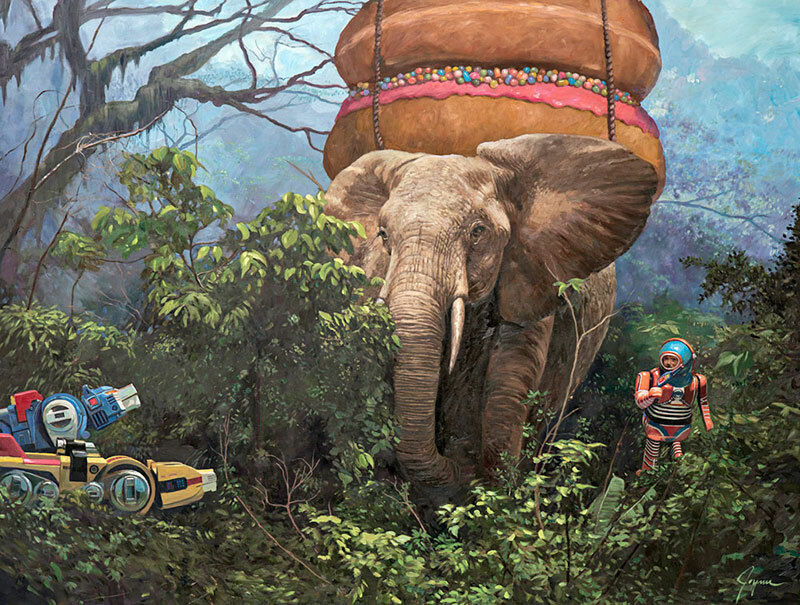 At the same time, my decision to explore these new areas is totally intuitive. 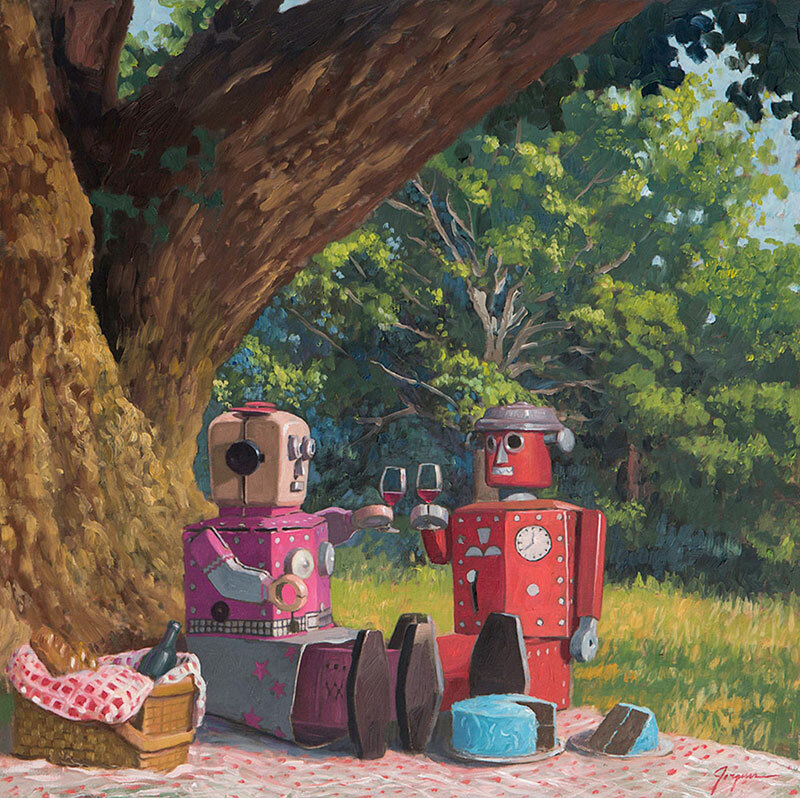 I can give no rational explanation other than they are things that I like—and find interesting. 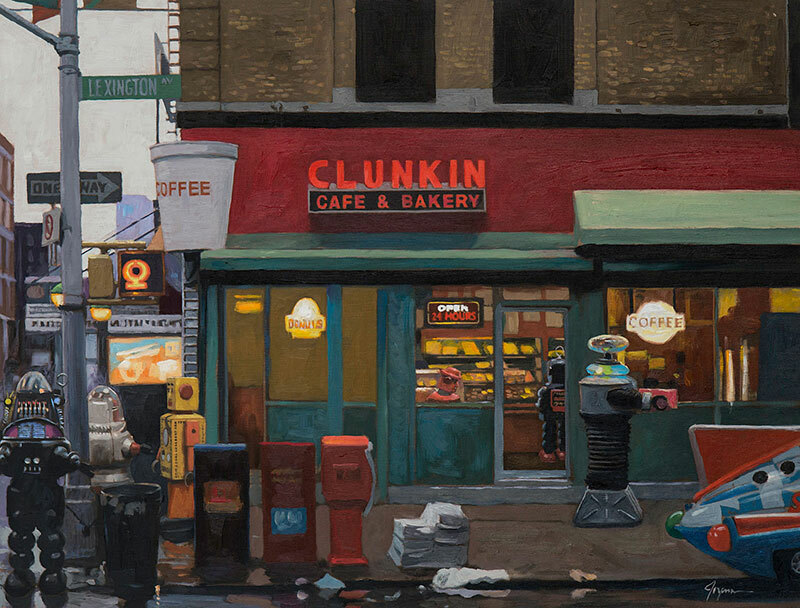 My basic inspiration comes from friends, current and historical events, food and our natural world. 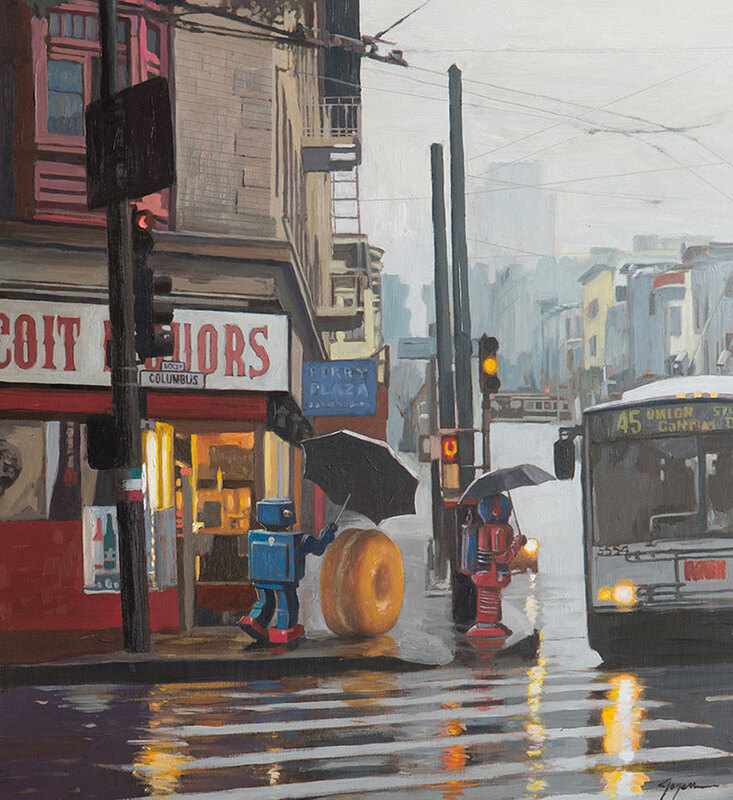 The goal of my work is to evoke an emotional response in the viewer and inspire imaginative thinking. 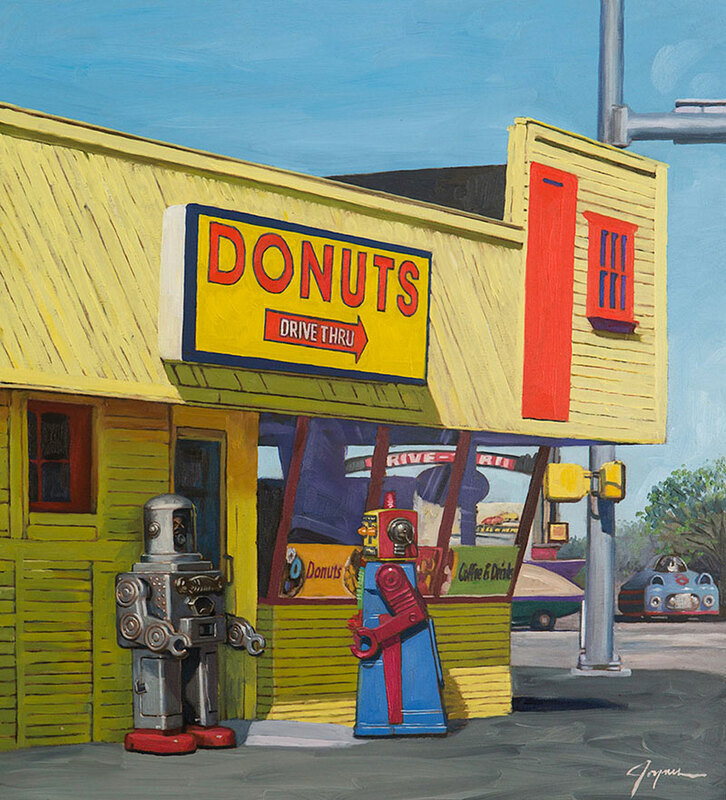 New paintings by San Francisco-based artist Eric Joyner, the undisputed master of vintage robots and the classic American donut.